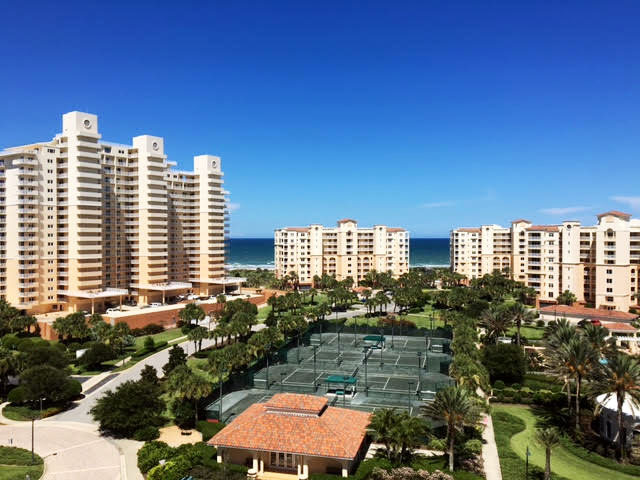 The condo community of Minorca, located on the north end of the New Smyrna Beach, is a private oasis that instantly transports guests to their own private Mediterranean island the second they step foot on the property. 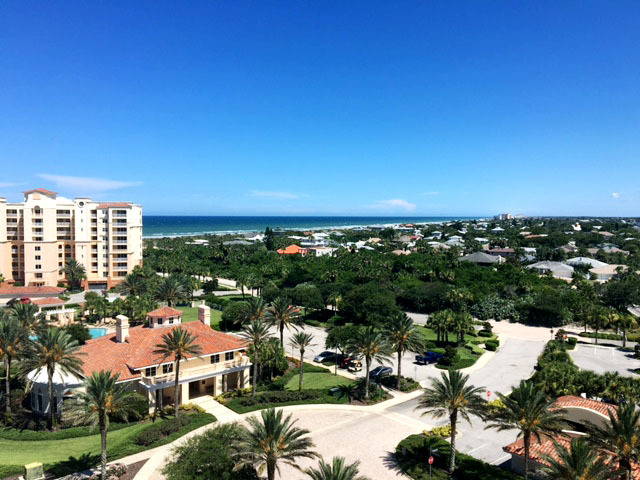 While Minorca is just one of the hundreds of condo communities New Smyrna Beach has to offer, we think Minorca offers amenities that help make New Smyrna Beach one of the best beach communities in the world. Let’s dive in and explore why Minorca might be your next dream condo. Minorca is perfectly located between three major waterways; the Atlantic Ocean, Ponce Inlet and the intercostal waterway. This location gives residents the unique opportunity to enjoy all three without ever leaving the north end of the island. Residents can dock and enjoy their boat on the intercostal waterway across the street from Minorca, fish in the inlet next to Minorca or ride the waves on the beach directly in front of Minorca. 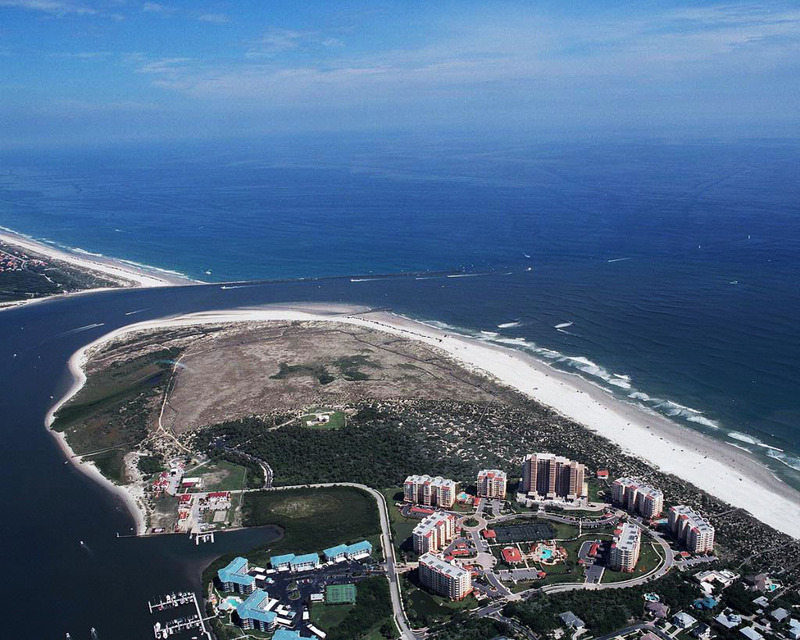 The inlet side of Minorca resides next to Smyrna Dunes Park. The park boasts 73 acres of land on the New Smyrna Beach peninsula and holds a treasure trove of wildlife, pristine beach, and two miles of elevated walkways. Dolphins, manatees and fish of all kind can be seen in the water, and fishing is allowed throughout the park. Smyrna Dunes Park is also one of the only dog-friendly beaches in New Smyrna, so Fido can enjoy the beach alongside you (just be sure to keep Fido leashed). When it’s time to recharge with a good meal, a peaceful 2-mile stroll down the road will take you to the charming area of New Smyrna Beach known as Flagler Avenue. Flagler Ave is filled with quaint shopping, a foodie’s dream of restaurants and several art galleries. Indulge in some of the best pizza in New Smyrna at Third Wave Café and Wine bar and then stop by for a sweet treat at Beachside Candy Co. After that, follow your ears and you will be sure to find a local artists playing at one of the many local Flagler Ave restaurants. 2) Did you say amenities? At Minorca, there is no shortage of amenities. The property offers several heated pools, a spa and sauna, fitness center, tennis courts, a clubhouse with a pool table and library, under-building parking, a beachside pavilion and 2 gated beach walk-overs, to name a few. Each unit also provides residents with breath taking views from a private balcony. There are seven buildings on the property, with the newest building completed in 2006 and offering the comfort of modern and updated units (310 units on the property to be exact). The views at Minorca are one-of-a-kind. Each private balcony provides an oasis to enjoy the unobstructed view of the sunrise or the sunset, as well as the calming sight of the Atlantic Ocean. Views of the famous Ponce Inlet Lighthouse can also be seen, enriching the history and charm of the area. The sprawling 65-acre community means that your view is of the landscape and scenery- not a parking lot. There is nothing like the secure feeling of a gated community. Minorca takes security seriously, and every visitor must be approved by a resident of Minorca to enter. The gatehouse entry is staffed 24/7 with a security guard and the property is regularly patrolled throughout the day and night. In addition, management is on-site, providing residents stress-free ownership. Located only one hour from Orlando, Minorca offers the luxury of beachside living while only a short drive to the mecca of amusement parks. Whether entertaining your own kids, grandkids, or looking for adventure yourself, Orlando offers a full range of entertainment for all ages. With Disney World, Universal Studios, and Sea World all just a quick drive away, its hard not to see Minorca as the ultimate combination of beachside relaxation and family fun.